My heart goes out to the family of Vice President Joe Biden on the tragic loss of his son, Beau. I’ve long been a fan of Joe’s because through all the terrible tragedies he’s had to face, he never stopped working and he kept soldiering on. And not just that, but he kept going on with a bright cheerfulness, good humor and joy of life seen in so few other politicians. Would that I had the tireless fortitude and strength of spirit of Joe Biden. “Six weeks after my election, my whole world was altered forever. While I was in Washington hiring staff, I got a phone call. My wife and three children were Christmas shopping, a tractor trailer broadsided them and killed my wife and killed my daughter. And they weren’t sure that my sons would live. “Many people have gone through things like that. But because I had the incredible good fortune of an extended family, grounded in love and loyalty, imbued with a sense of obligation imparted to each of us, I not only got help. But by focusing on my sons, I found my redemption. “I can remember my mother — a sweet lady — looking at me, after we left the hospital, and saying, Joey, out of everything terrible that happens to you, something good will come if you look hard enough for it. She was right. In 2012, Biden described how he dealt with grief in an emotional speech for the families of fallen military service members at the 18th Annual TAPS National Military Survivor Seminar. “And I remember looking up and saying, ‘God,’ I was, as if I was talking to God myself, ‘You can’t be good, how can you be good?’” the vice president said. Biden also discussed dark thoughts he had in the wake of the accident. “Tomorrowland” is an antidote for today’s negative, dystopian movies. The cast is great and all perform well in this throwback to Disney family films circa 1960 with a positive, uplifting message that OF COURSE will not be appreciated by today’s pessimistic, dystopian-addicted audiences. Brad Bird directs with the same action flair he brought to his masterful CGI movie “The Incredibles.” For those of us who experienced Disneyland and Disney World before you had to take out a loan to visit, it brings back some wonderful memories — it’s a small world after all in the carousel of progress. And there are plenty of nods to some great sci-fi films thrown in for good measure. There was a time when the future was bright and something we all looked forward to… “Tomorrowland” earnestly–maybe a little too earnestly–tries to take us back to that future. 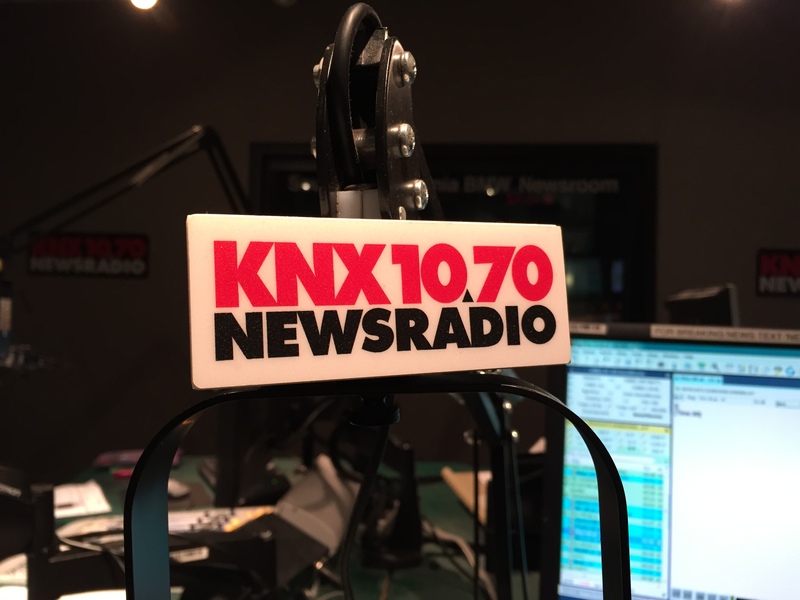 I was thrown into the deep end of the pool last night on KNX — my first couple of hours on air at my new radio home. Nothing blew up, thanks to the excellent & patient training of “Professor” Brian Ping. 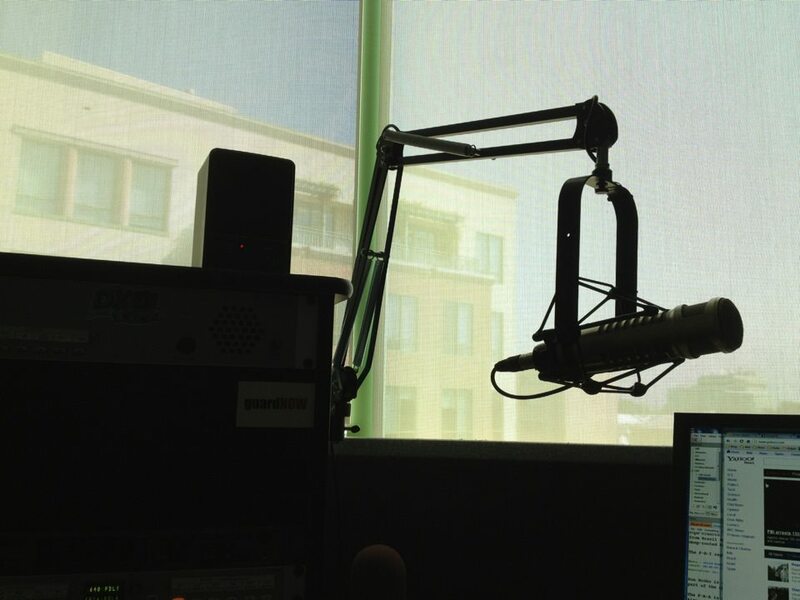 It’s nice to be back on the air again. I am so fortunate that my absence from radio wasn’t long — as it can be in this industry. Big thank yous all around to News Director Julie Chin and my new family at KNX and CBS Radio for welcoming me with open arms, and to all my friends both online and off for being so damn wonderful. Why does Hollywood keep making the same movies over and over again? 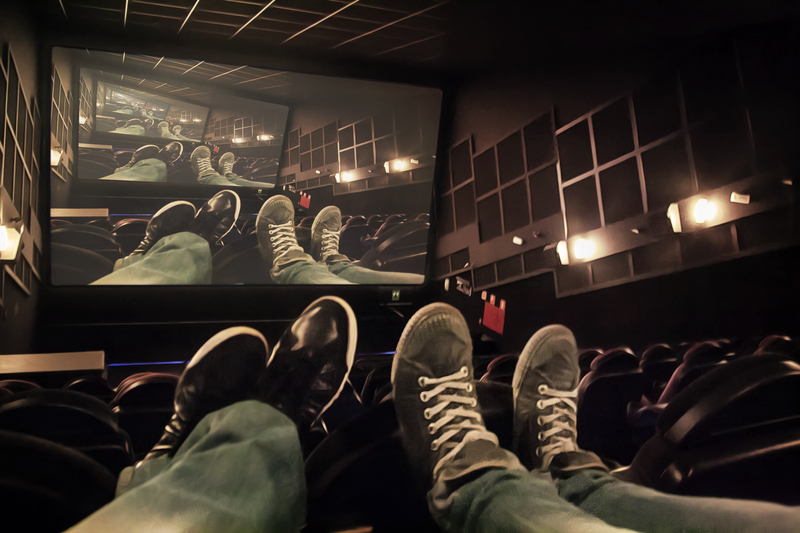 Money is the root of box office boredom. The latest Avengers film rules the world. But superior big-budget films like Interstellar or Gravity do, well, just okay. Reason 1: These same complaining movie goers (myself included) shell out big bucks for reboots, franchises and sequels a lot more than we do original flicks without an established fan base. Original movies, when they’re hits, do only fair to middling business at the box office. But even if a current franchise’s latest chapter “flops” it still usually pulls in big bucks, and the studios can always reboot the reboot later for guaranteed box office. Hollywood knows a franchise with a built-in fanbase can be counted on for at least one big weekend’s receipts. Reason 2: Ticket prices are so high we’re gun shy about paying big bucks to see something new and unfamiliar. So when Hollywood puts the blame on us for not turning new, original movies into hits, we can point the finger right back at the movie and theater industry for high ticket prices. Seems to be a vicious cycle. So the question for producers AND moviegoers: How do we get out of this rut? I was still in high school when I started my radio career. Broadcasting has been the only job I’ve ever had. This summer I’m celebrating my anniversary, but please forgive me if I fail to mention the number. As every radio veteran knows, there are more ups and downs in this business than one can count. The downs can be awful, heartbreaking, devastating… but the ups can be pretty damn great. I have had the great and humbling pleasure and honor of working with some amazing individuals through the years. In their orbits I’ve learned and grown, and have been able to be a great many things — a DJ, a programmer, a boss, a news anchor — that wouldn’t have been possible without learning at the feet of some pretty elevated masters. I’ve met my best buds (you know who you are, Gary & Frank), plenty of interesting individuals, and I’ve worked for, worked with, and managed some amazing human beings. I have been in awe of all of them, not just the ones who turned out to be friends. There’s one person in particular I worked for a few years ago… It wasn’t until this week with a simple congratulatory email he sent that I realized he was a father figure all this time. By simply expressing that he was proud of me, I had the sudden and emotionally overwhelming feeling of being blessed beyond measure. I can’t say thank you enough, JK. Dammit man, you made me cry. Every chapter in my journey has been wonderful, and I’m embarking on a new one. I am so incredibly lucky to be able to turn the page and find the book’s not nearly over. No one’s more surprised than me. Thank you all for being. And if there are any gods, may they all bless you with the wisdom of a mountaintop guru and the happiness of a roomful of puppies. May you all hit the post and may your air never be dead. 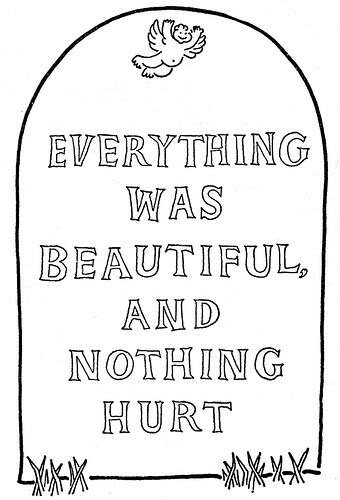 “Slaughterhouse Five” by Kurt Vonnegut is a great book to read over Memorial Day weekend. His first-hand account of surviving the bombing of Dresden as an American prisoner during World War 2, and intertwining it with a twisty time-hopping sci-fi story, is both harrowing and compelling. 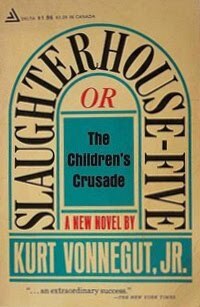 It was a life-changing book when I first read it in high school. I never wrote — or read — the same way again. David Letterman helped me figure out who I am. At least, as an on-air performer. 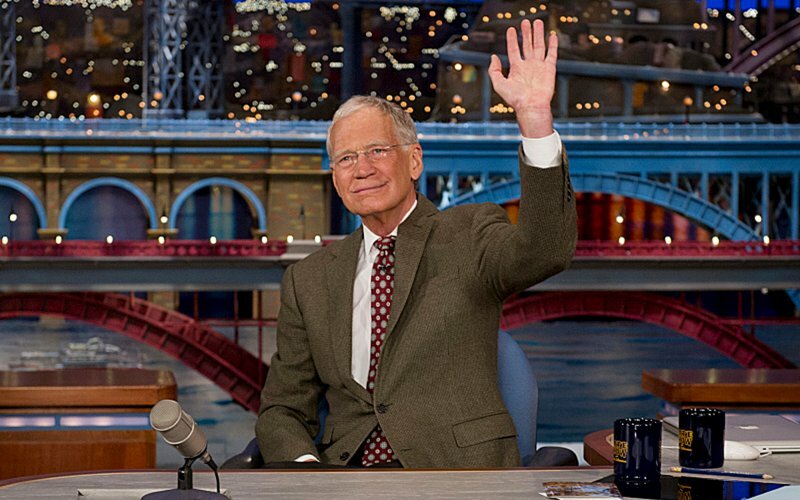 As a young man getting started in radio at the time, Letterman’s short-lived morning show was a revelation. I ripped him off shamelessly. I wanted to be him. Somehow, from that seed, I became who I am today when I’m behind a microphone. So in a way I owe it all to Dave. He was with me when I got my start in Belle Glade, Florida. His snarky, self-mocking humor and “let me pull the curtain back so you can see how dumb this really is” style helped me survive my small hometown and gave me the impetus to move forward and make a career out of this radio thing. He went with me to Stuart, then to Orlando, and then to Miami. And of course I kept watching him when I got to L.A. I must confess in the last few years I didn’t watch him religiously like I did in the beginning. I think I began tuning in a bit less about the time Dave himself admits he was becoming a little bored. But I always checked to see who the guests were, and of course I watched when something newsworthy was happening. And I was there, glued to the TV, for his return after 9/11. Yes, Jay Leno may have won the ratings battle. But Letterman won the legacy.